Businesses exist to make money, but a brand is about something more than just money. Today I want to talk to you about the second stage of getting from where you are now to that freedom and fulfilment and it is all about crafting your brand as a marketing and branding expert. I believe that there are four seasons that every entrepreneur goes through from being a newbie just starting out, to a seasoned business owner who has a freedom and fulfilment, which is sponsored and paid for by their business. This is not something you do right away necessarily because it does take some investment. It also takes understanding a little bit more about who you are and who your customers are. In order to make sure that that brand is effective and does what you want it to do. But today I want to talk a little bit more about what crafting that brand looks like and when is the right time to do it. Once you get through the first stage growing your business and you start to master the Five Laws of Entrepreneurship, learn how to manage them and understand them, then it might be time to build a brand. You’ll know when it’s time because you’ll reach some sort of crossroads. That crossroads usually looks something like you’re falling a little bit out of love with your business or you’re getting a little bit bored, or maybe you have some intense new competition and you need to stand out. Perhaps you have a service-based business and you want to start building more of a platform online, or maybe you want to build a little bit more authority. 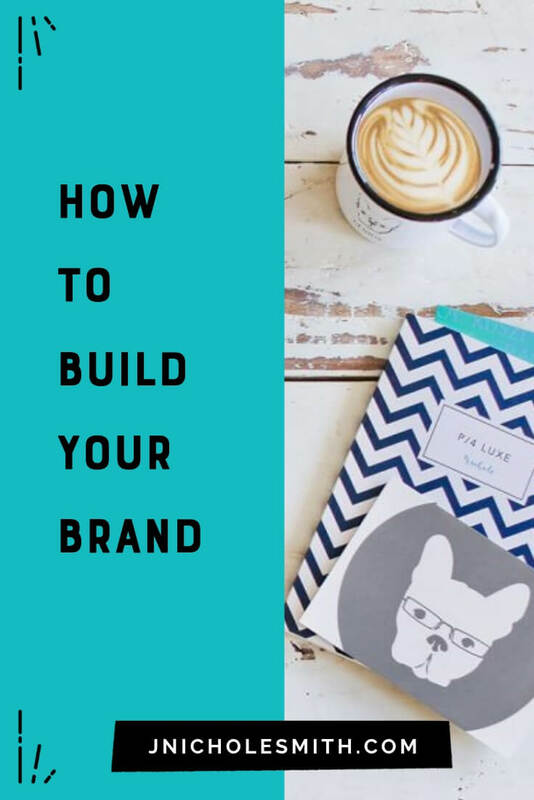 There’s a lot of reasons why building a brand can be a really important next step, but you’ll kind of know when it is. If you don’t have time or money to invest in that process, it’s not time yet, go back to growing your business. We have tons of resources including our signature Magic Maker Business Academy course that can help you do that. 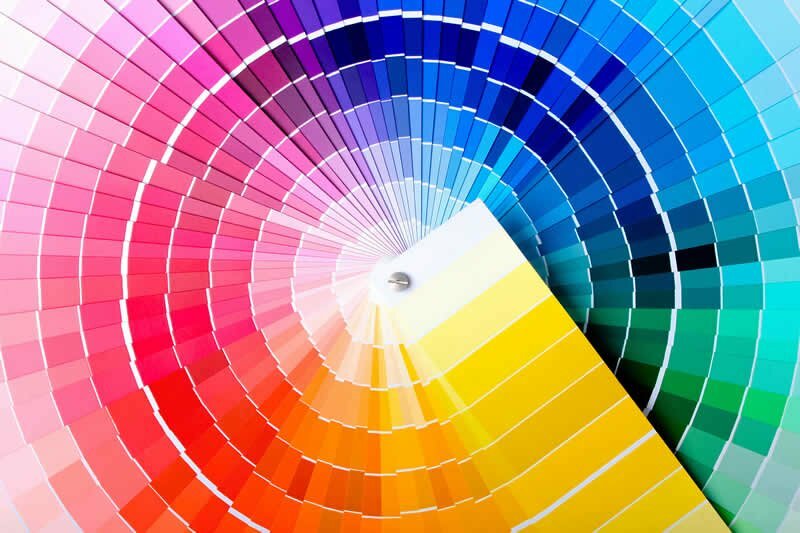 But when it is time to craft your brand, what does that look like? Well, I believe that it has two fundamental pieces that you need to create in order to have a brand. The first piece is brand purpose. So we talk a lot about finding your why and when I talk about finding your why, I’m really talking about sort of your human purpose, what motivates you, what’s your passion? We’ve got another couple of videos we’ll link to below about how to get started doing that because it’s not a super straight-forward process. 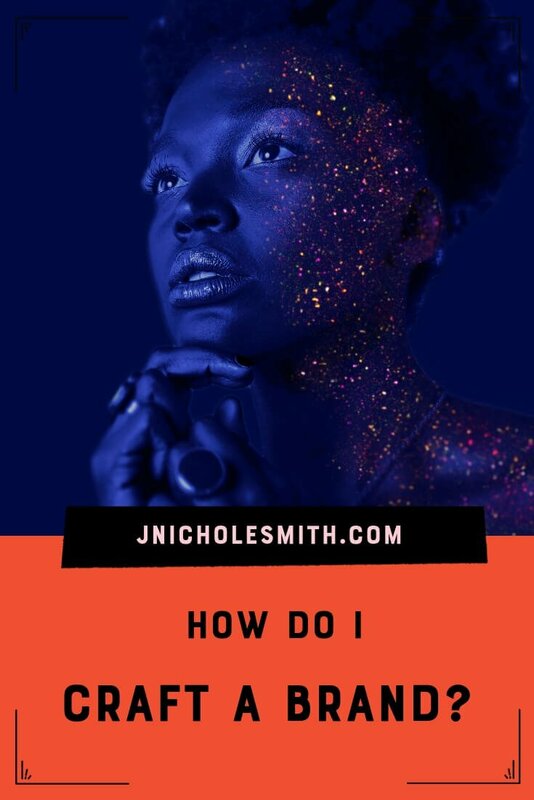 But once you have started to dig into what your why is as a human being, you start to create some communication about that in your business and that’s when you’re sort of human purpose gets translated into your brand purpose. Brands have purpose. Businesses exist to make money, but a brand is about something more than just money. You want to know for you, what that is. So the first part of crafting a band is figuring out your brand purpose and creating some communication about what that is and being able to have something you can easily repeat over and over and over again about why your brand exists. Something that is a mission or a purpose statement that really excites your customers and makes them want to be a part of your movement or revolution that you’re leading in the world. That’s the first bit. These are all things you need to keep in mind when you start to craft your brand and you’ll probably need help in each one of these areas. Working with artists who specialize in each to help make this process successful when you’re starting it for the first time. Let’s face it, most of us are not artists and even those of us who are really need help from other geniuses because we’re too close to it. Plan on hiring someone to help with your words, someone to help with your visuals, someone to help with the experiences and someone to help with the artefacts.Let me tell you a little bit more about each one. One of the most effective tools you’ve got as a human being is language. When used well, especially simply language can be a very powerful way to connect with people. And not all of us were born knowing how to do it well. So this might be a place where you hire someone like a copywriter to help with things like your tagline or the copy on your about page or your homepage headlines, things on your brochure or places where you have a very limited amount of time to get people’s attention. Also getting that brand purpose into what I call a brand statement or some sort of elevator pitch maybe or mission statement that is attractive and interesting that you can repeat, repeat, repeat is a really important part of that process. The next piece is the bit that you’re probably most excited about when it comes to building a brand, which are the visuals and this includes things like design, logo, illustrations and photography, which is one of the best tools you have to make an emotional connection with your customer. Don’t discount great images. You’re definitely gonna want to work with professionals here who are experts in their own areas. When it comes to creating visuals that excite and delight other human beings. Again, this is the place where we can be a little bit close to it. So if you’re tempted to just have your brother do it or have your best friend do it or keep the logo you’ve had for 10 years, it might be time to get some outside opinions about what will be a good fit, to make sure that that brand purpose that you’ve got is really coming to life. The third area of brand cool our experiences and this one is key. It’s one a lot of us don’t really think about or aren’t really sure where to start with, but one of the key things here is to think about how are people going to talk about your brand? What is going to make them talk about your brand? One of the greatest assets that brands have is word of mouth. They get people excited, they get people buzzing, and they do that by creating really great experiences. One resource for you to check out that has everything to do with this is a book called Talk triggers by Jay Baer. This is a great actual formula for how to get people talking about your brand and it’s a great way to think about the experiences that you’re creating for your customers every day. The fourth piece of brand cool that is super important and fun are the artefacts, and when I say artefacts, what I mean are the tangible pieces that people can feel and touch that have your branding on them. Sometimes this is what we call swag, which is just the fun stuff that you give away, like stickers or mugs or business cards. The other things that can be include your products or your packaging or your uniforms, maybe even signage. If you have a physical location or point of sale, if you have a physical product, these are the things that add that little bit of x factor that brands have, that businesses don’t always have. Part of investing in this process is having a little bit of fun with the artefacts and giving people little pieces of your brand to hang onto. Just because this is something a brand does that a business might not do, that really, really helps people feel connected and give them that little extra bit of surprise and delight them, makes them want to come back for more. It also can help with the experience. That third piece of brand cool when they’re opening your packaging or when they receive a surprise in the mail, that kind of thing can really help solidify that relationship and that brand trust and love. 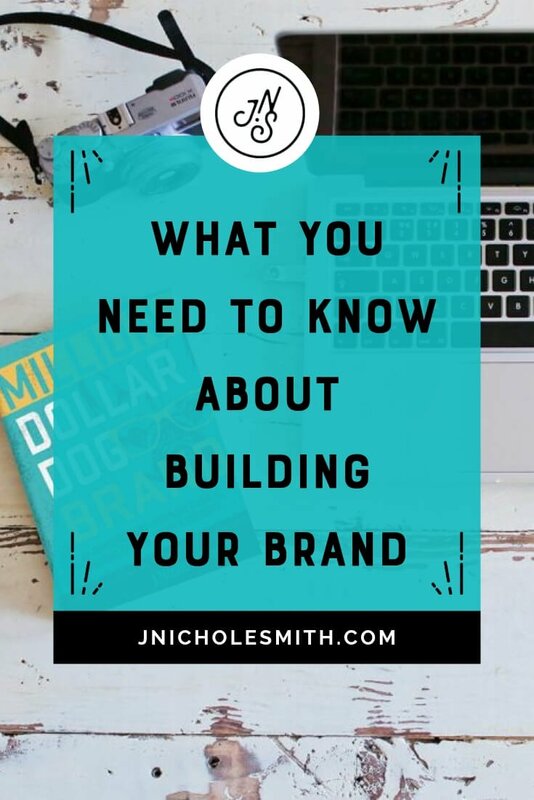 So I hope that that’s helpful when you start to think about what does it take to build a brand and all the different pieces of brand. Cool. If you want to carry on this conversation, join us over in our Private Facebook Group. This is a place where we are talking brand all the time and giving lots of free resources for enchanted rebels like you who want to find freedom and fulfilment by building a brand instead of just a business.